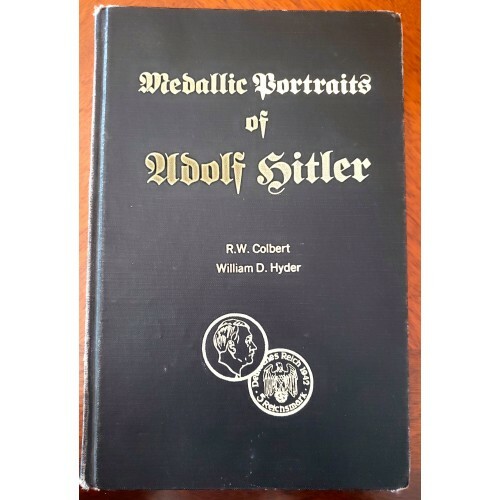 Medallic Portraits of Adolf Hitler by R.W. 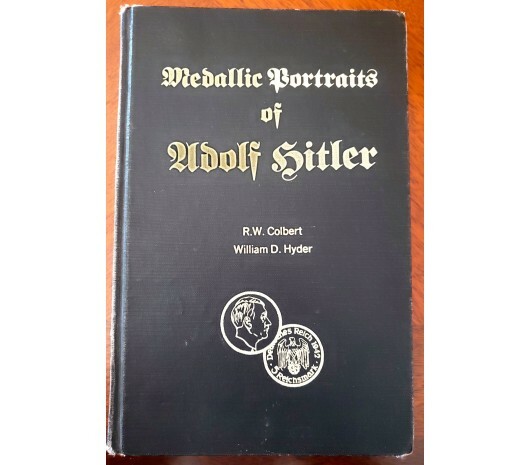 Colbert and William D. Hyder. 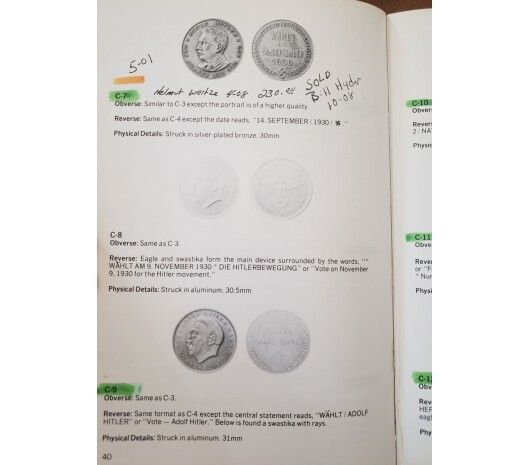 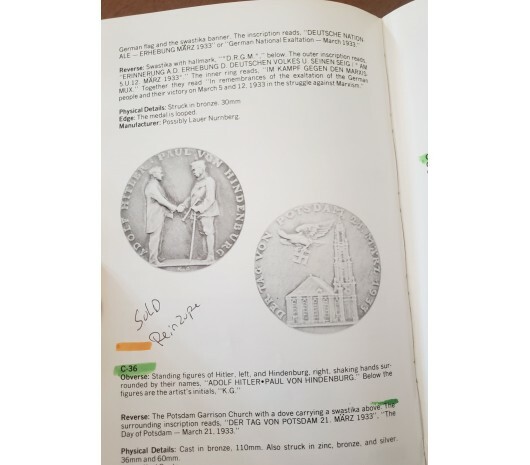 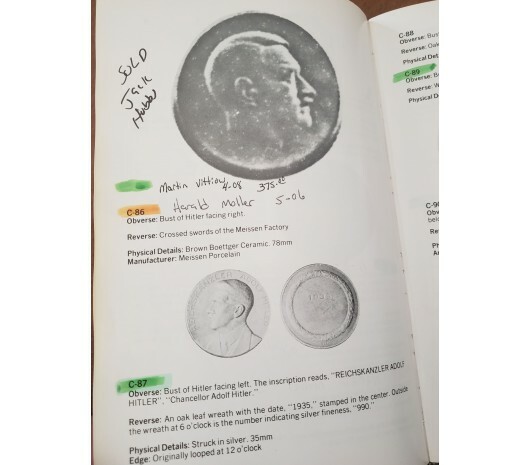 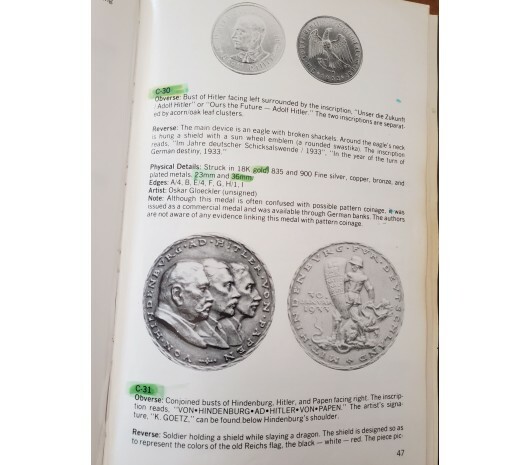 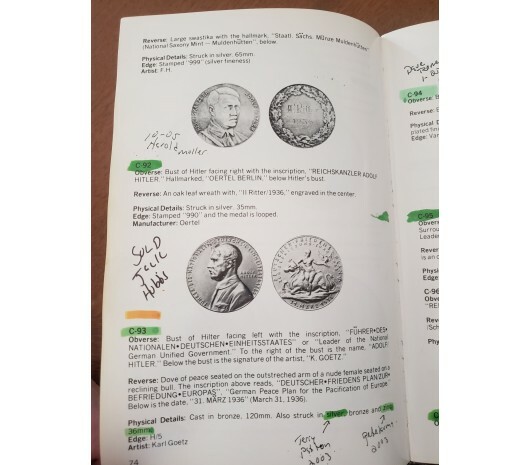 This book has been out of print since 1981 and is extremely rare to find; this copy in used condition, the previous owner made notes in it as shown.The book lists all the Hitler Medals & many Plaques with pictures and descriptions. 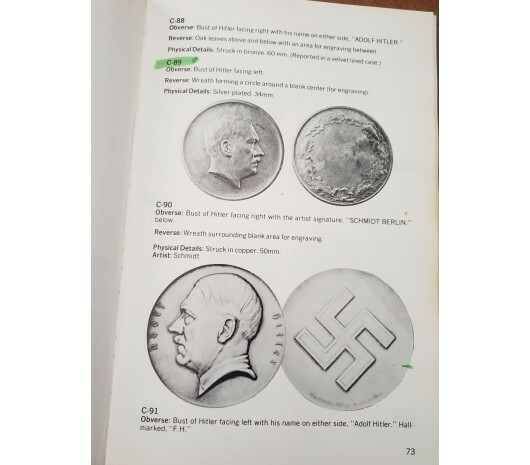 An invaluable reference guide for collector's of these items.